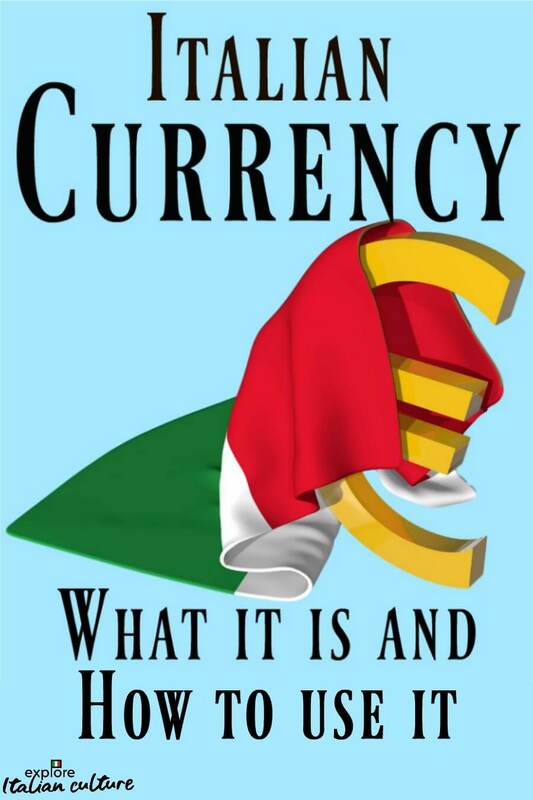 The flag of Italy : facts, colours and meaning. It's bright, it's colourful and it's full of symbolism. Here's what the Italian flag looks like, what it means, and when it's flown. Three colored or tri-color (in Italian, 'Il Tricolore'), its three vertical stripes are equally sized and its colors are green, white and red. The green stripe is always placed nearest to the flagpole. Ireland, which is longer and green, white and orange; Mexico, which is also longer, uses darker shades of red and green and has a coat of arms on the white stripe; or the Côte d'Ivoire, which has the colours reversed and is orange, white and green. 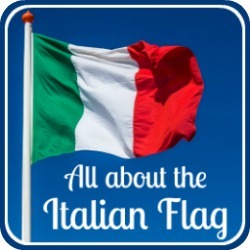 The history of Italy's flag. The colours were first adopted by the military in 1796, but it didn't fly as a civilian flag until 1797 when, with its arms and crown in the centre, it was adopted by the Cispadane Republic - a short-lived republic in the north of Italy. When Italy became a Republic in June 1946, it adopted the simple "Tricolore" with no coat of arms. So in its present form, it has been the national flag for only a relatively short time. Meaning of the flag's colours. As ever, there is some controversy about the colours of the flag of Italy. The military origins have encouraged some to think that they are based on the colours of Milan (red and white) and the Milanese civic guard (green). But that's a bit mundane for the people of Italy. They prefer a more romantic explanation. The most popular - which has become the accepted fact - is that the colours represent Italy itself : white for the snowy Alps and other mountain regions; green for the plains and the hills; and red for blood spilt in the Italian wars of independence. There's also a religious interpretation whereby green represents hope, white, faith and red, charity. Which is right? Whichever you choose! The Italian flag colours : controversy. One thing is for certain : the Italian people take their flag's colours very seriously. When President Silvio Berlusconi tried to introduce a subtle change of colour, he was accused of attempting a "chromatic coup d'état". The people were not amused. Politicians and people alike were furious. So outraged, in fact, that the country actually considered a national referendum to allow the public to choose the right shades. Berlusconi backed down, and the referendum was never required. 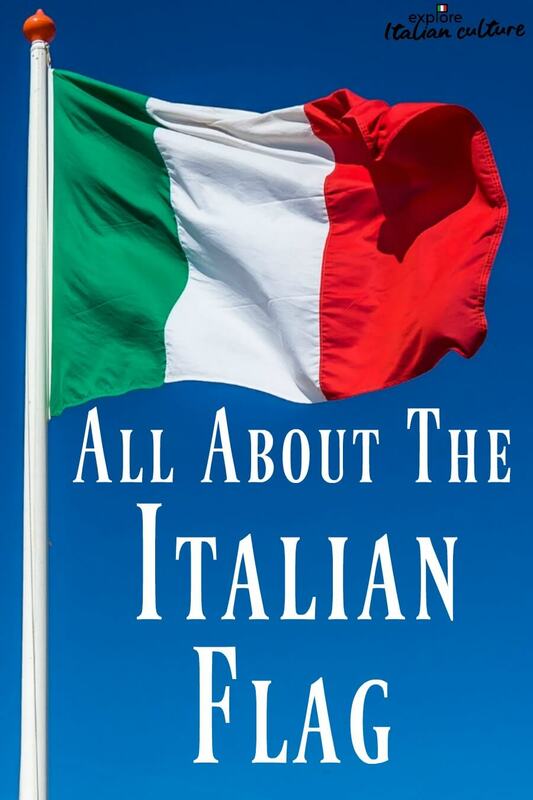 The Italian flag : when's it used? Of course the flag is used at ceremonial occasions and on buildings, as with every country. But in Italy, it's used for much more than that. 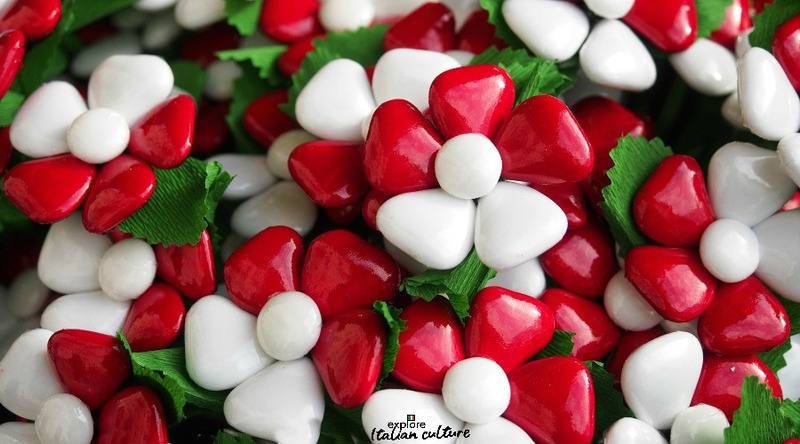 Sugared almonds (known in Italy as "Confetti") in the colours of the Italian flag. Ideal as wedding favours. 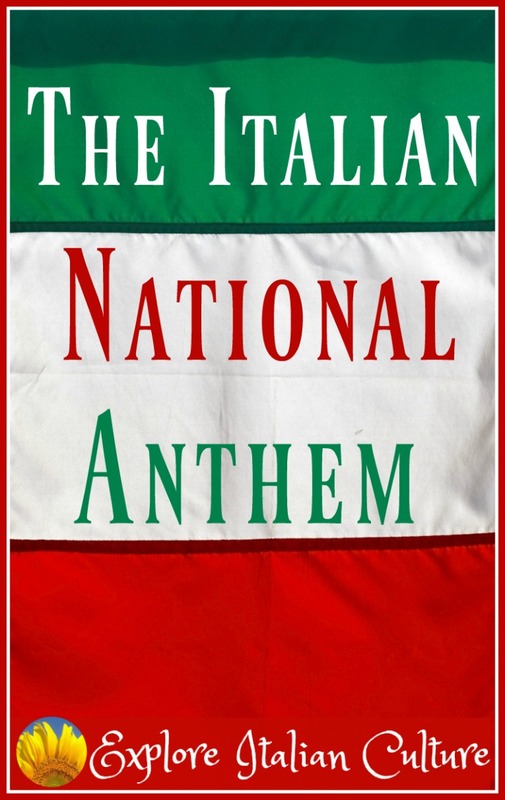 Italian people love their flag, and love to show it - although almost always in a cleverly understated way. Its colours feature in everything from footballs to ice cream, pizza and salads. It's most in evidence at football matches, it flies from public buildings, it's used as a design feature for clothing and all manner of private and civic celebrations. And often, in the Italians other great love - food. 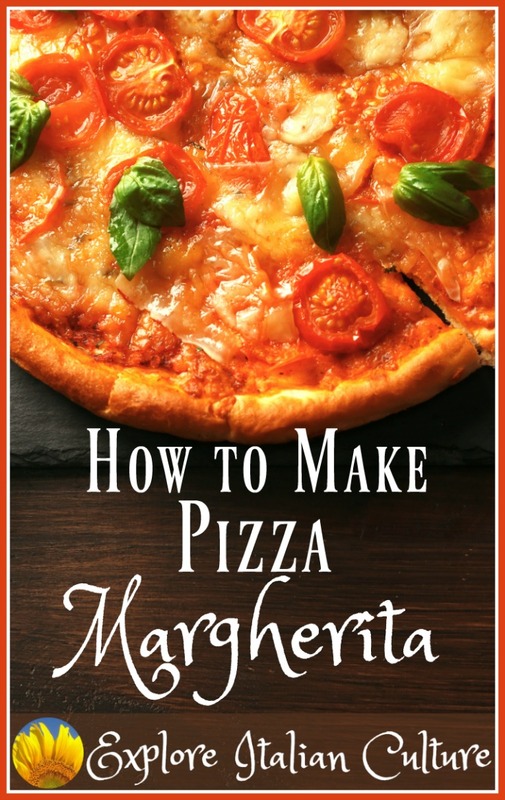 Pizza Margherita was originally made in Naples for a visit of Queen Margherita of Savoy, in the colours of the Italian flag. So, red tomatoes, white mozarella cheese and green basil. It remains a firm favourite amongst the many pizzas eaten in Italy today. And then there's that other food standard, the Caprese Salad. 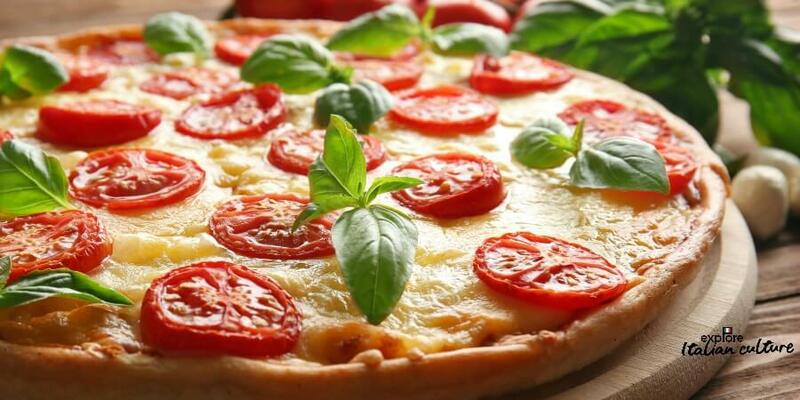 Same ingredients: tomatoes, mozarella, basil. Usually served arranged in those coloured rings on a plate. Sometimes, though, with a variation on how it's served. But never a variation in the colours - they're always the flag's. 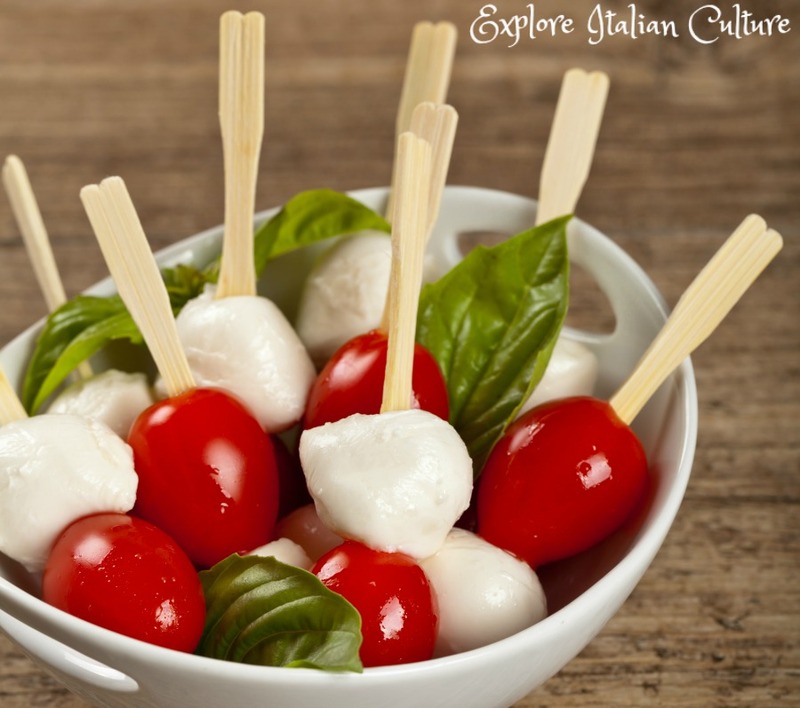 If there's any added colour, it's not a true Caprese. Try it like this - as kebabs. Delicious, and always adds a dash of colour to a buffet table. And a tribute to the colours of the flag of Italy. If you liked this page, you may find these interesting. Just click on any of these pics to go to an article about it.